Newer pieces in the show. The Friends Center is open M-F from 9am – 1pm. The show is in the social hall which is locked. You will need to knock on the office door. 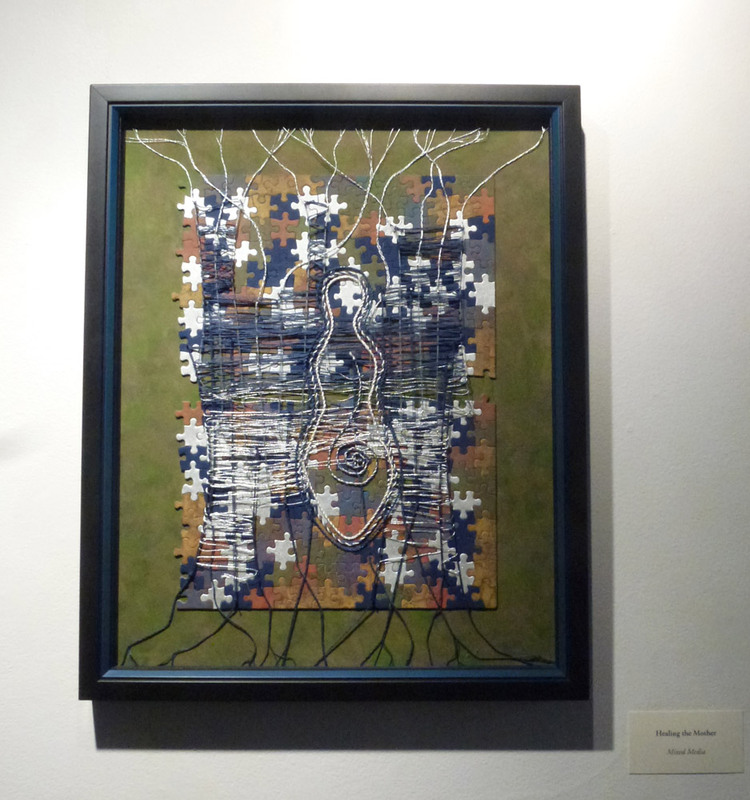 And for those who can’t make it to the show, here are a few pictures of the newer pieces. 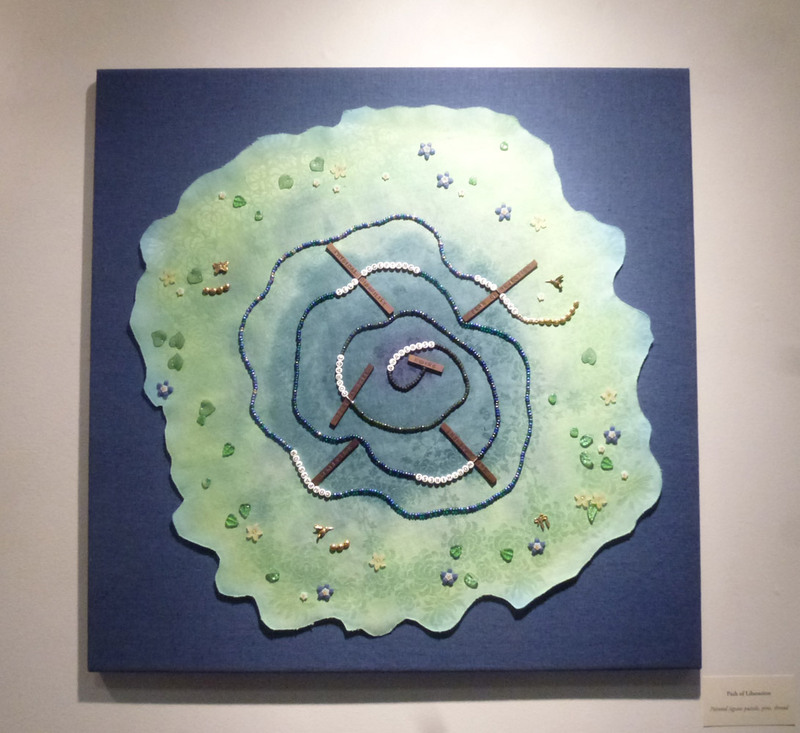 Path of Liberation, hand-dyed fabric and beads. Background is 24″ x 24″. The dyed fabric is a vintage linen napkin! 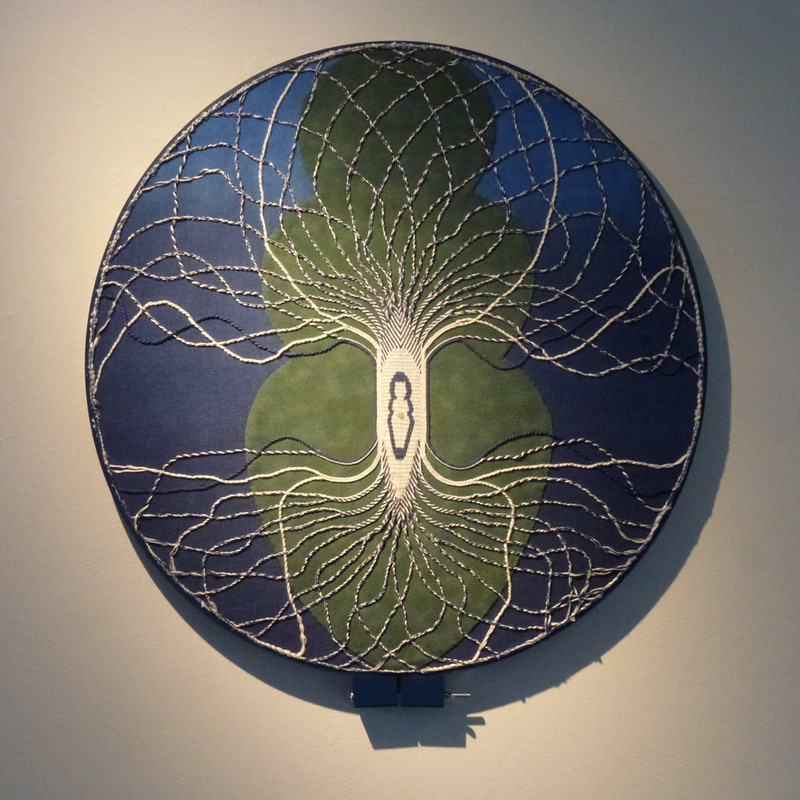 Goddess / Tree: tablet woven band on silk and linen background. 23″ Diameter. Need to figure out a better name. Think I may title it ‘Ima Adamah – Mother Earth’. 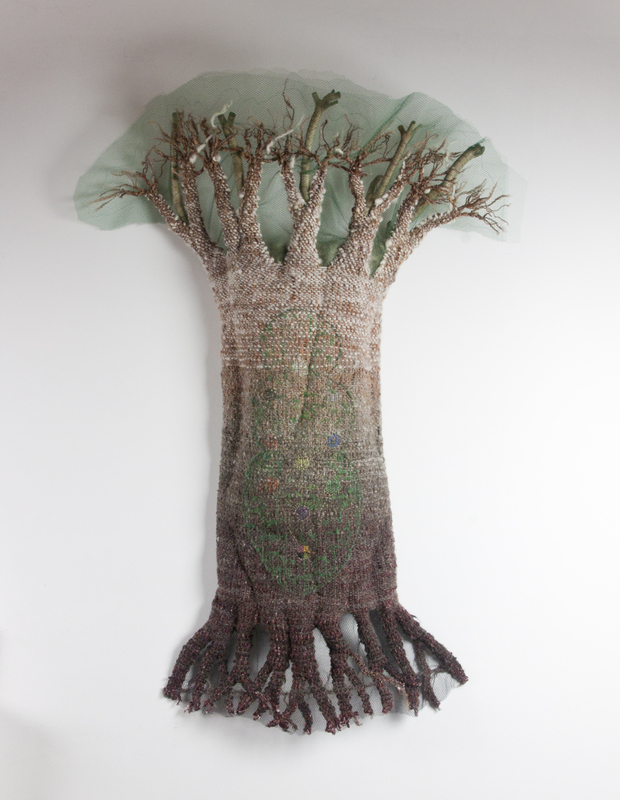 Mother Tree – Asherah, Handwoven fabric with needle felting and needle weaving, net, mounted on padded wire frame. 43″ x 30″ x 7″ This piece has move to the Fiber Fusion show at Schack Art Center in Everett, WA. 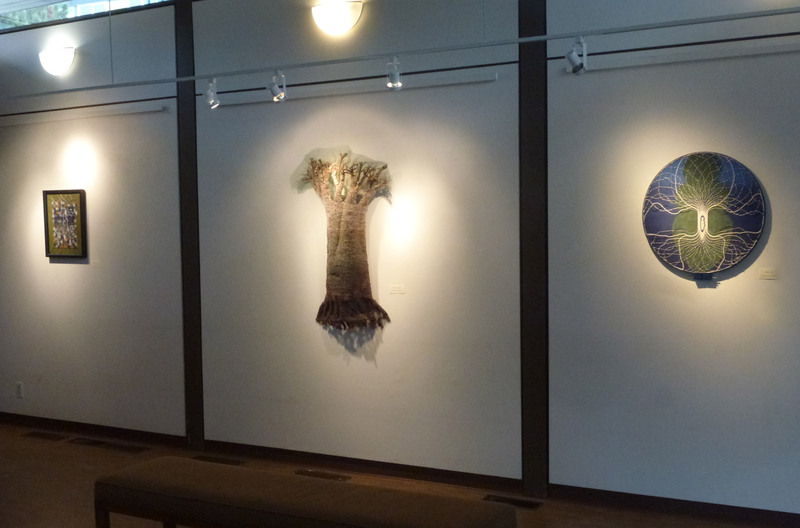 Fiber Fusion opens March 9th and runs through April 15th. This entry was posted in New work, Shows by Lois. Bookmark the permalink. Lois, this is beautiful work! Really enjoyed your show! I know they are “older” works (thus not pictured), but my favorites are still the reworked jigsaw puzzles.